Kartemquin is thrilled to share that Hulu has acquired Sundance award-winning Minding the Gap by Bing Liu. The film will be available on Hulu and released theatrically by Magnolia beginning August 17. Liu originally brought the film to Kartemquin through its Diverse Voices in Docs (DVID) program, a professional mentorship program for documentary makers of color organized by Kartemquin Films and the Community Film Workshop of Chicago. Coming up, the film screens at the Las Vegas Film Festival, Sheffield Doc/Fest, Canadian Sport Film Festival, AFI DOCS, the Nantucket Film Festival, BAMcinemaFest, Stronger Than Fiction, Mosaic World Film Festival and the Docutah International Film Festival. Find all upcoming screenings here. Minding the Gap is produced by Liu and Diane Quon through Kartemquin Films, and edited by Liu and Joshua Altman. Executive producers are Steve James, Gordon Quinn, Betsy Steinberg, Sally Jo Fifer, Justine Nagan, and Chris White. 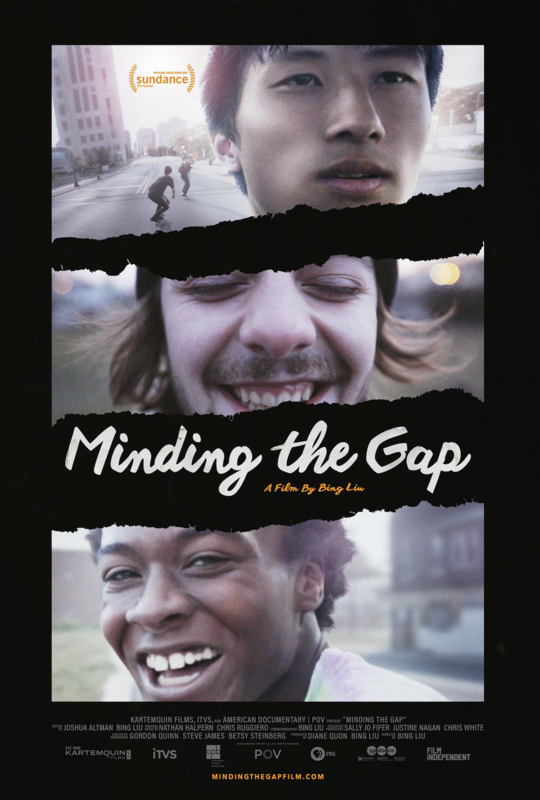 MINDING THE GAP is a co-production of Kartemquin Films, American Documentary | POV, and Independent Television Service (ITVS), with funding provided by the Corporation for Public Broadcasting (CPB) and Sundance Institute Documentary Film Program. Magnolia Pictures will handle the theatrical distribution. Follow Minding the Gap on Twitter and Facebook. Visit the official website at mindingthegapfilm.com.